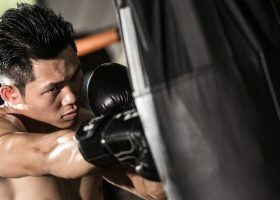 The Venum brand is well known in the world of boxing because of their high quality products, as well as endorsing some of the most famous Mixed Martial Arts (MMA) fighters. 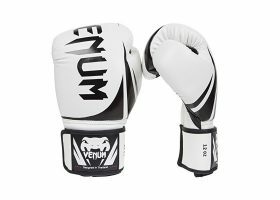 The Venum Challenger 2.0 boxing gloves are a great option to consider for boxers looking for a good pair to use without having to shell out a large chunk of their money. When used, you will notice that they give a powerful punch due to the plastic property of the hybrid leather material used for their outer surface. Product weight is 2 pounds. It consists of polyurethane, hybrid-leather materials. 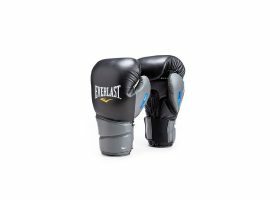 The gloves feature a triple layer of interior foam for shock absorbency. It utilizes a combination of large Velcro enclosure with elastic for the wrists. The palm area has mesh for ventilation. The triple-layered padding that the gloves have is designed to withstand some serious beating and can effectively absorb impacts and shock. 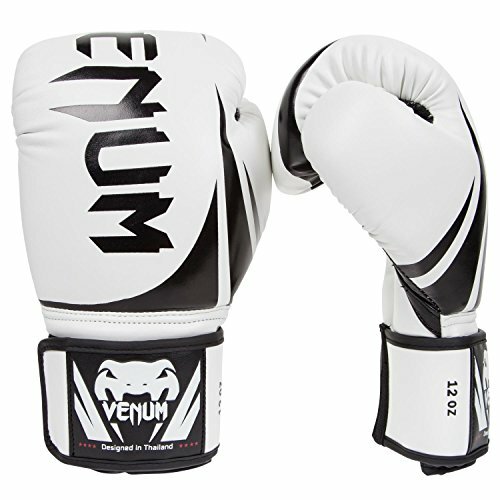 The Venum Challenger 2.0 Boxing Gloves is strong but lightweight at only 2 pounds. 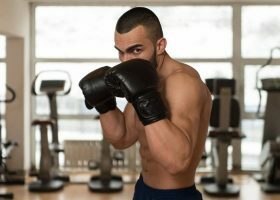 It is easy to move your hands and throw some punches when the gloves are worn. The sleek-looking exterior of the gloves is not susceptible to mold or being damaged by liquid because of its polyurethane plastic property. The gloves can hold up even when constantly used because of their high-quality make. Fighters can still express their individuality through the wide range of colors to choose from. The gloves are designed to be breathable with the mesh palm area which is great for keeping your hands dry, and allowing you to train longer without having to cut it short in between to wipe off sweat on your hands. The gloves’ sizes are great for normal-sized hands but will be too snug if your hands are large, which may also affect the ventilation inside, even with the air vent design. According to some people who reviewed this product, the gloves are quite stiff compared to other brands. 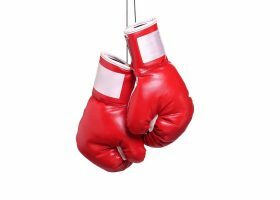 A few people have complaints of the materials not holding up well after several weeks of frequent use, with ripped areas or stuffing coming out of the gloves. 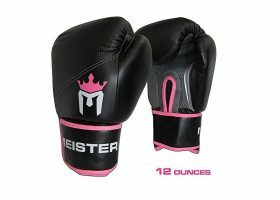 A few women customers had some problems with the sizing of the gloves because the gloves were still too big for the average hand size of a woman. 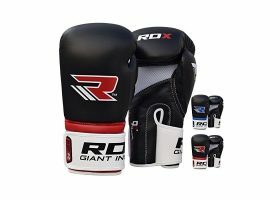 Like the Venum Challenger 2.0 Boxing Gloves, the RDX Cow Hide Leather Boxing Gloves also feature three layers of padding but are filled with Shell Shock™ gel padding for improved shock dispersion during use. 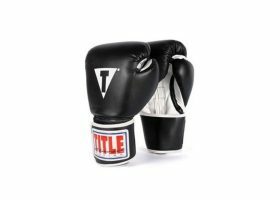 These gloves are great for sparring, light bag work as well as mitt work. The comfortable padding is evenly distributed to ensure that the weight is balanced throughout each glove. 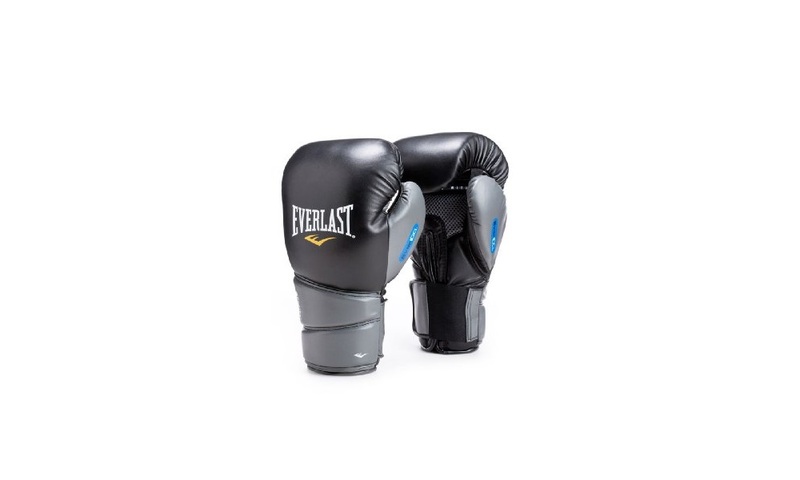 Materials used in the construction of the gloves are authentic, full-grain cow hide which is known to be durable enough to resist heavy impacts from throwing powerful punches. Additionally, with repeated use, cow hide leather is known to offer increased comfort and versatility, with less chance of tearing or ripped areas. Aside from the sturdiness and comfort the gloves provide, you will also get good ventilation for your hands. The Cool-X technology provides strategic ventilation on areas of the gloves where sweat usually accumulates. Ventilation is especially important to prevent the gloves from getting sweaty with moisture build up, as sweat can affect your performance. A snug fit is also vital to avoid getting injured or hurt during use. The gloves have a wraparound wrist strap, which can be easily adjusted according to the fit you need, as long as the gloves you have are the right sizes for you. 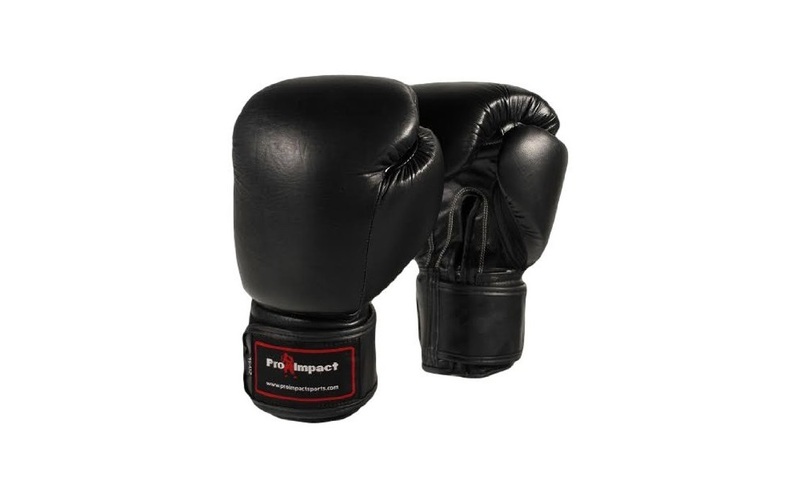 The Genuine Leather Boxing Gloves by Pro Impact are also made of excellent quality leather. 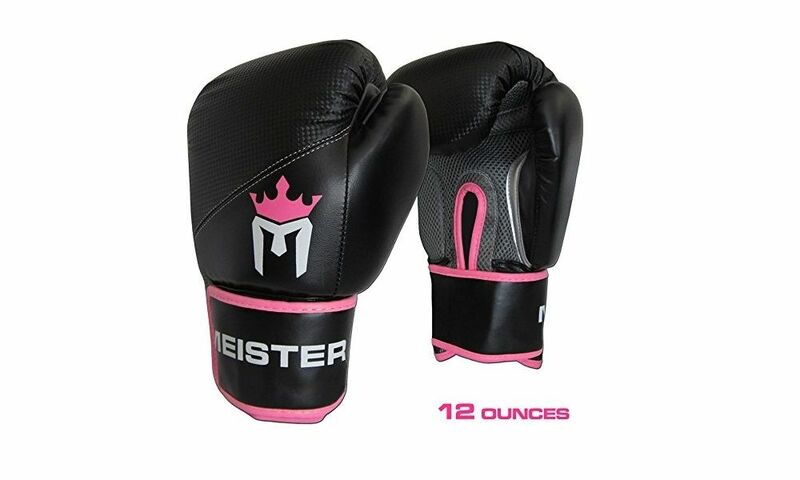 The all-leather design is great for comfort and also makes the gloves sturdy and durable. Designed for training, as well as sparring, the gloves are engineered using a three layer foam core. This design ensures that the gloves are made for maximum comfort and protection, even during heavy pressure. It features an attached thumb, and is designed with longer cuffs that enclose your wrists with a full wrist wrap hook. This loop closure ensures that you can fit the gloves snugly to make sure that your wrists are offered tight support. 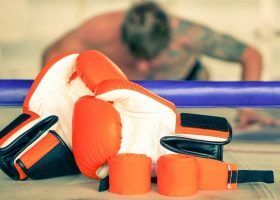 Pro Impact’s Genuine Leather Boxing Gloves can be quite large for some, which is mainly due to the extra padding commonly offered by large gloves. With more padding, more protection is guaranteed. For people with larger hands, this pair of gloves may be quite snug for you, but you can modify the fit using the glove wraps to loosen it. 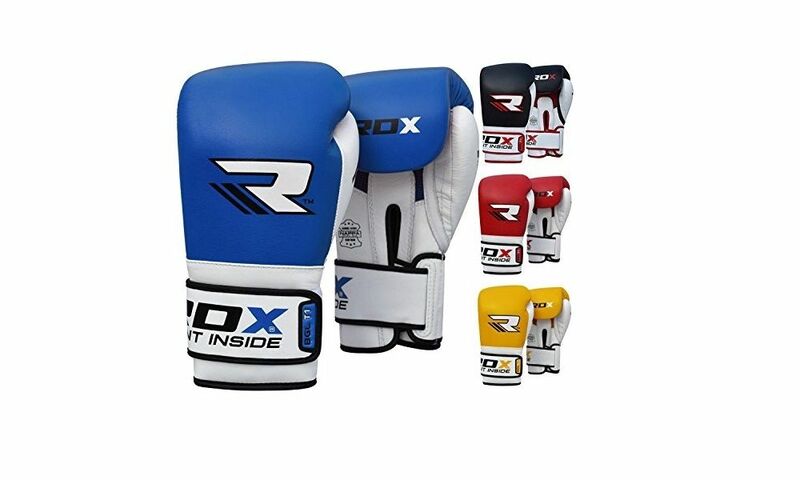 The RDX Cow Hide Leather Boxing Gloves are the best value for your money. They are made of genuine, full-grain cow hide leather, which can offer you durability and versatility even after repeated use. Aside from being naturally comfortable to wear, the gloves have also included air vents for your hands. The padding is also well distributed and good reviews are also heard from people who have tried the product.